The Japanese company Astro Live Experiences continues work on the creation of a special system, through which it will be possible to conduct controlled launch of artificial stars. This is reported by TJournal. Leaders of the project, scientists Lena Okajima and Toshinori Kuvahara told about their project. Scientists plan to put a satellite into orbit. It will be "charged" with four hundred multicolored "stars", which when burned in the atmosphere will create the effect of a real stellar fall. "The satellite will be launched into a special orbit, which will allow it to fly over most of the major cities of the planet. This will allow us to fulfill as many orders as possible, "they added. According to the developers, the main feature of the "stars" of ALE is that their speed is 9 times smaller than real meteorites, and the luminosity is 70 times brighter. The preliminary launch of the satellite is planned for 2020. ALE consulted with NASA, ESA and the US Department of Defense. The launch of the technology itself was approved by the Japan Aerospace Agency. Technology has already managed to find its critics in the face of astronomers. They believe that "stars" released from the satellite will lose control and damage other satellites that hang in a lower orbit. Others believe that bright lighting during a fall will prevent observations of the real starry sky. World spending on artificial intelligence technologies will almost triple in the coming years, predicts the analyst company International Data Corporation (IDC). Experts expect that in 2018, the world market of cognitive systems and solutions in the field of artificial intelligence (AI) will be $ 19.1 billion, an increase of more than 54% compared to last year. In 2021, the figure will reach 52.2 billion dollars, and the average annual growth rate will be measured at 46.2%. Experts have lowered the forecast for the market: in September 2017, they predicted that spending would reach $ 57.6 billion by 2021. "The interest and awareness of artificial intelligence is growing, and every industry and company must evaluate AI to understand how it will affect their business processes and the efficiency of the market," said IDC analyst David Schubmehl. According to his forecasts, by 2019 about 40% of digital transformation projects implemented in organizations will use AI services, and by 2021 three-quarters of corporate applications will have artificial intelligence algorithms. The largest AI investments in the current year are expected in retail trade ($ 3.4 billion) and the banking sector ($ 3.3 billion). Large costs are also projected in areas such as discrete manufacturing, medicine and continuous production. For example, in healthcare, investments in AI diagnostic and treatment systems will amount to $ 1.7 billion, the study said. Most often, artificial intelligence will be used in quality management systems and making recommendations, diagnostic and treatment systems, automated customer support services, automated systems for intelligence and threat prevention, as well as in cybercriminal analysis and investigations. 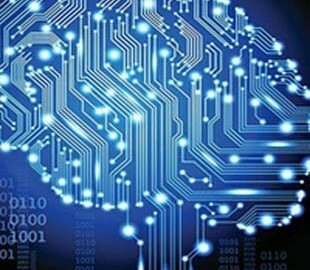 More than half of the costs for cognitive and AI technologies from 2017 to 2021 will be provided by software, including cognitive platforms that provide tools and technologies for analyzing, organizing, accessing and advising services on the basis of structured and unstructured information . At the same time, the highest growth rate will be demonstrated by the service direction. The largest AI market analysts call the US, which will have three quarters of the cost of cognitive systems and solutions in the field of artificial intelligence in 2018. Second place will be occupied by Western Europe.